With superior heat-insulating technology and active breathing properties, these BBB winter cycling gloves will keep your hands harm, dry and comfortable, even in the worst conditions. The SuperGrip palm keeps your hands from slipping and sliding in wet, cold elements. 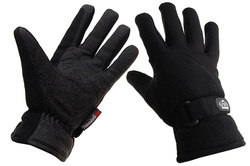 An all-around excellent riding glove at a truly unbeatable price!